One thing we are very clear about here at FitTechnica.com is that nobody should wear earphones while running or cycling outdoors. If you are in any doubt as to why this is a bad idea, then read the editorial Riyad wrote a little while ago. However, during indoor training sessions, or as pre session motivation or part of post session cool down, earphones, or more precisely the sound they deliver, can be welcome. So, with that in mind we have no problem with reviewing a range of different earphones at different prices. And right now we’ve got the £99.99 Altec Lansing Muzx Ultra under scrutiny. [Pricing has been upated – see end of review for details]. As with other earphones you don’t get a great deal in the box. The earphones themselves are accompanied by a small printed user guide, four pairs of silicone eartips and a protective slipcase. The latter two elements are quite interesting. You usually get fewer than four pairs of eartips, and the provision of so many at different sizes is a good sign that you should be able to get a nice fit. The slipcase is a spring-loaded affair which opens as you squeeze its corners. It is large enough to house the earphones and probably a couple of other odd bits and pieces such as a USB stick or two. Having a carry case also helps prevent the earphone cable getting tangled while it is in your pocket. The Altec Lansing Muzx Ultras aren’t designed specifically for sports fitness use, but they do have a number of features that I think make them good for this purpose. For a start there is a noise isolating element which anyone who has run on a treadmill in a noisy gym will really appreciate. Now, this doesn’t give you total noise isolation. But it is pretty good, and it is helped by the wide range of eartip sizes. I actually used the Altec Lansing Muzx Ultra earphones on a street run not in order to listen to music but in order to hear spoken instructions when testing the Nike+ GPS App, and I noticed a definite dulling of the sound around me even in those circumstances. At other times, using them while on public transport and generally walking around outside, there was also a definite reduction in external sounds. So much so, in fact, that I’d most definitely NOT recommend them for use on street runs. Another plus point for anyone in training is that the build is quite robust. There are several aspects to this. The actual earphones themselves are quite solid and chunky. There’s nothing delicate about any aspect of the design at the ear end of things but the size of the earphones doesn’t have any negative effect on comfort at all. I was able to wear them for more than an hour at a stretch when exercising, and when sitting and listening to music and they felt as comfy at the end of a session as at the start. 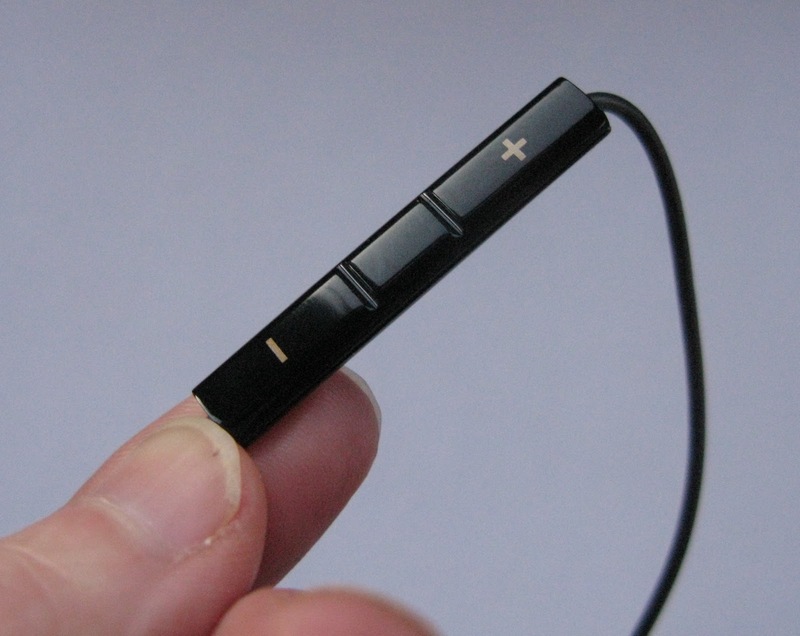 There is also a clever feature designed to prolong the life of the earphones. At the end of a fitness session you ought to be pretty tired, and may not take the best care of your kit as you remove your earphones. That can mean ripping earbuds from your ears by pulling at the cable which over time cause the cable to fray and break. Altec Lansing has built a sturdy plastic arm onto the bottom edge of each earbud. 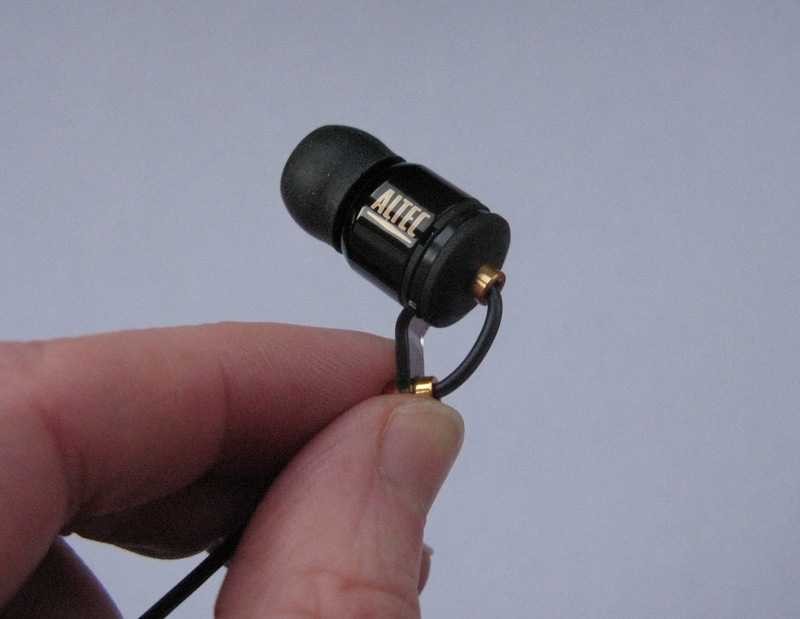 This makes it is easy to grasp and pull the earbud itself rather than the cable, thus protecting the cable itself. Of course some people are always going to grab at the cable and yank it, but if you can be bothered to reach for that little purpose built arm, you stand a very good chance of getting longer life from these earphones. 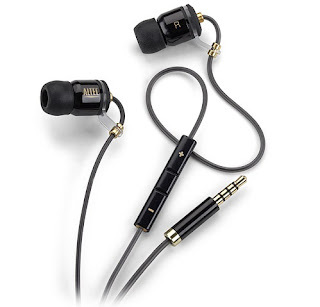 The other side of this story is that the Muzx Ultras are designed so that the cable comes out of the earpiece and dangles down rather than wrapping over your ear. If you are doing strenuous exercise this could mean that the cable gets tugged at as your movement pulls it around against your clothing. The lack of a clip to hold the cabling onto a running top at the neck can exacerbate this issue and the net result is that the earbuds could easily be pulled from your ears. That’s the theory. In practice I didn’t find that the earbuds got pulled from my ears at all while running. I’m putting that down to two factors. First, careful selection between the already mentioned four sets of eartips. The range of sizes meant I could choose a pair that fitted really snugly into my ears. Second, the silicone covering on the cable allows plenty of movement against a running top, which also helps prevent snagging. However if your exercise involves a wider range of upper body movements, such as gym circuits, you could have problems. The silicone cover to the cabling also helps reduce that dreadful rubbing noise you can sometimes get from earphones as the cable moves around on your running top. The sound here was not affected by that type of noise at all. The Muzx Ultras have quite a long cable measuring 137cm in total and 100cm to the left and right splitter. That’s a fair bit of cabling to tuck away inside your running shorts pocket or armband and you’ll want to do this rather than have flailing cable flapping around as you exercise. 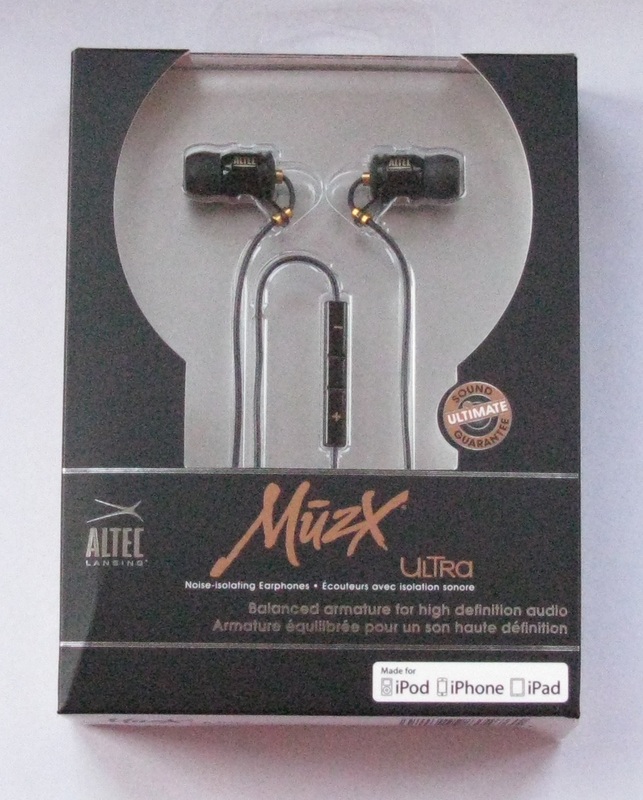 The primary designated use of the Altec Lansing Muzx Ultras is with an iPod, iPhone or music player. With that in mind there is a little inline controller quite close to the right earbud. Unlike the somewhat chunky earphones the inline controller is very neatly designed as a long thin lozenge with clear + and – markings. Various controls are available from here including volume, play/pause, skip and back. You can also use the earphones to answer or end a call by pressing a small centre button, while holding this button down will decline an incoming call. This all sounds great but note that the Apple product compatibility is not universal. If you don’t have an iPhone 3GS, iPhone 4, 2nd generation iPod touch or 4th or 5th generation nano you are out of luck. Older products aren’t listed as compatible, and indeed my trusty iPod classic 160GB refused to recognise any instructions from the inline controller, though of course music played through the earphones without issue. A little experimenting indicates that the inline controller won’t work with other phones or music players, though on one phone we tried it with the central button did attempt to redial our last missed call. So, what about sound quality? I said in my review of the ultra low cost Radiopaq Dots that I’m by no means an audio expert. But I do know when music sounds too tinny, too bassy, too brassy etc, and I know the kind of tone I like. 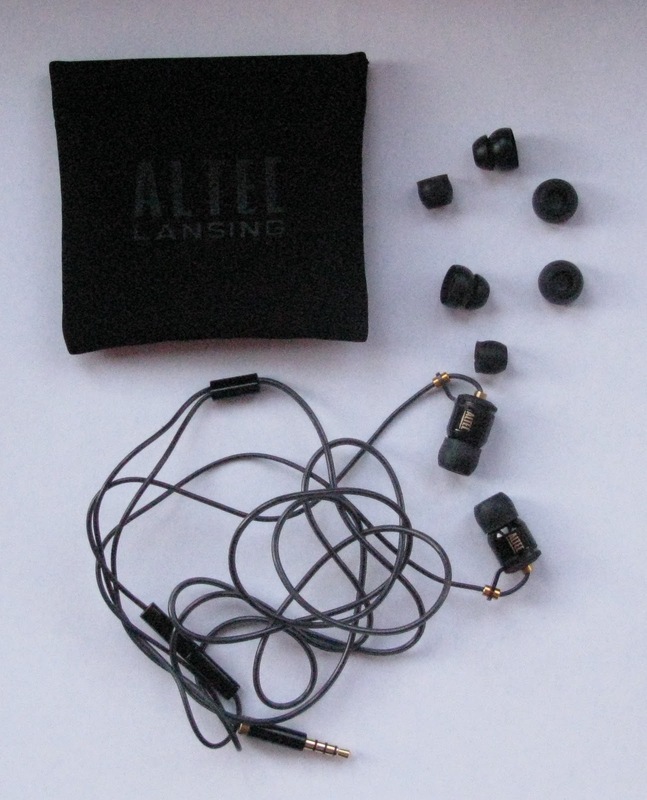 The Altec Lansing Muzx Ultra has a gold plated input connector. 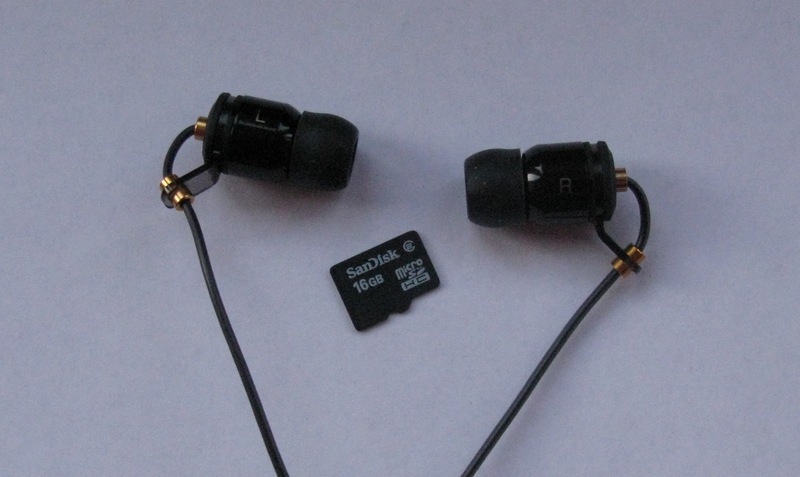 Now, this doesn’t really count for a great deal when put against the technology inside the earphones themselves. In this case the single balanced armature technology produces what for me sounds like a well-rounded tone. Bass tones are nice and rich, and even when I pumped the volume up louder than was good for my ears and there wasn’t any distortion. Classical music was as listenable to as heavy rock and the spoken word came through clear and unfuzzy. I can live happily with the Altec Lansing Muzx Ultra earphones for quiet music listening, and they are certainly up to the less sophisticated quality of output that I look for when training. Not everyone is going to spend £100 on a pair of earphones for running. But you might consider that kind of spend for earphones with dual running and leisure listening use. If you would, then the Altec Lansing Muzx Ultra would be a solid choice. The noise isolation isn’t total but is probably good enough for most gym situations. And if you are rough on earphones, then that little arm that protects the cord as you remove them could mean this pair lasts longer than most. Update: Since first publishing this review I’ve learned that the price has dropped to £79.99. That might be the difference for you between choosing to buy these earphones or not. I think it makes them better value for money and would be more tempted at the new price than the original one.